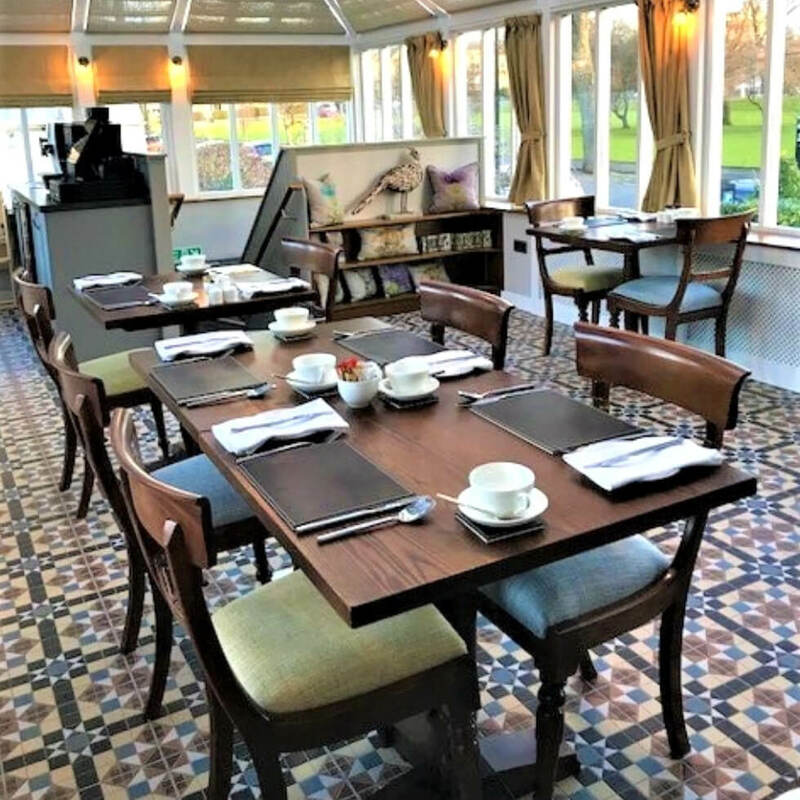 The newly and sympathetically rebuilt conservatory at Victoria Square links with our main dining room to create The Orangery Restaurant which provides a year round dining facility for our guests. The main dining room is already one of the most impressive rooms in the house with its beautiful Commonwealth ceiling containing all the emblems of the countries of the British Isles, though for 2019 we will be undertaking some redecoration and refurnishing. The conservatory and dining room together allow us to cater for up to 30 covers. New for 2019 we are delighted to add refined evening dining to our already popular lunches and traditional afternoon teas. Building on our commitment to making use of the finest Scottish produce our menu blends traditional classics with modern innovation. With our focus on quality our menu is not long, but will change regularly to reflect seasonality. We will offer both a delicious Table d’Hôte Menu and also a fabulous Chef’s Taster Menu for those looking for something special. What an ideal treat for a night away, delicious food, excellent service and wonderful accommodation! We initially opened The Orangery in 2018 providing traditional afternoon teas and light lunches. With the investment in a new kitchen in 2019 we are able to open up for a full fine dining evening service. 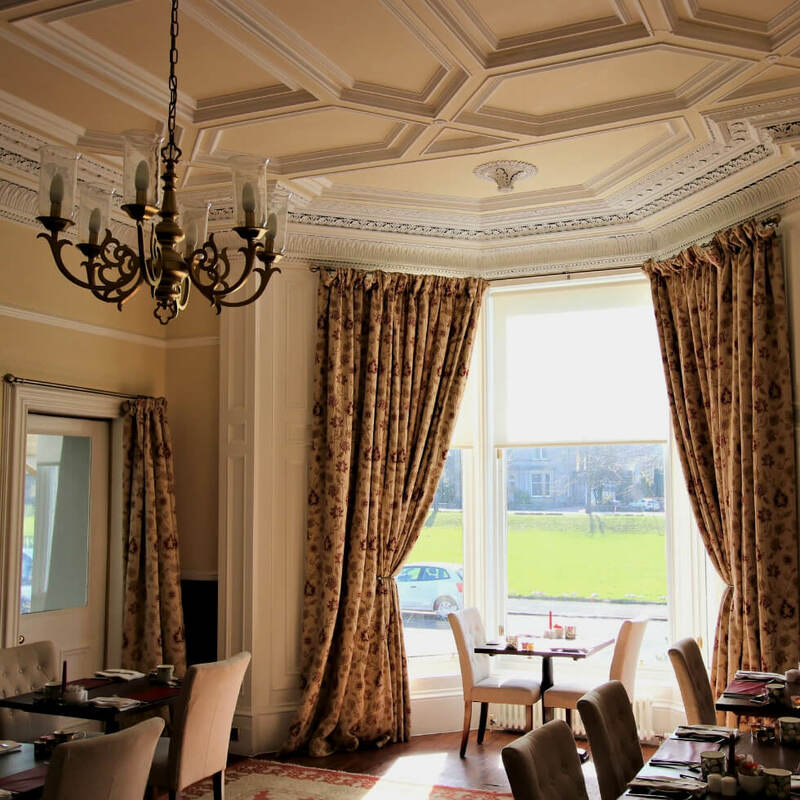 With both the main dining room and the conservatory we have the flexibility to cater for resident guest and locals. We can also offer the conservatory for private parties up to 12 diners. Under the experienced leadership of Chris Brant our chef our aim is simply for The Orangery to become Stirling’s premier fine dining venue. To get an idea of what is on offer please see our food pages.